Hi there! 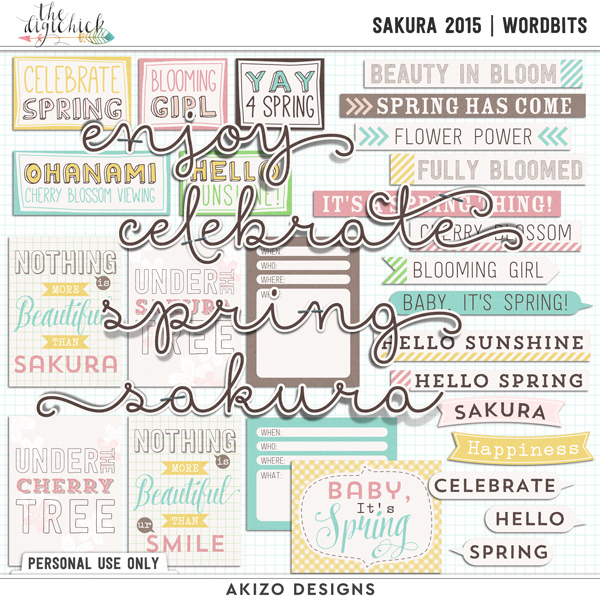 This week I am bringing you a fabulous Spring kit Sakura 2015. Cherry Blossom gives me a sense of peace, and my favorite flower. I hope you like it. The separate pieces are 30% off, Collection is 39% off through Sunday 🙂 If you are Newsletter Subscriber, you can find exclusive coupon on this week’s one! 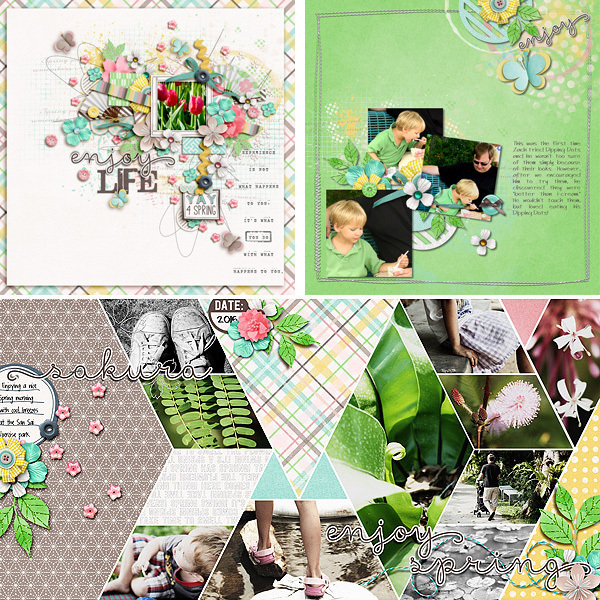 You can see more samples at Facebook, Pinterest, and The Gallery. Please upload your layouts also!